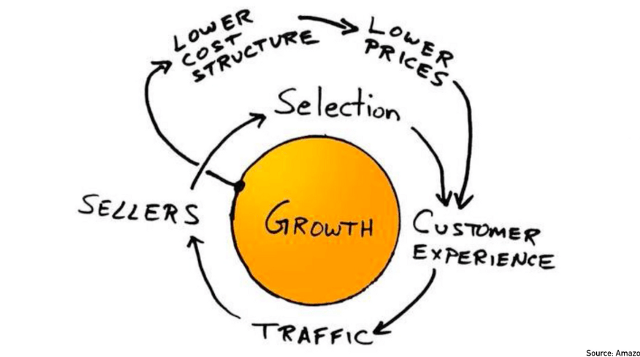 Amazon continuously adjusts its A9 ranking algorithm. To keep our customers up to date, we regularly investigate Amazon’s ranking methods — with thorough tests and experiments. With this update for Amazon’s EU and US marketplaces, we provide an overview of the current indexing mechanisms of all Amazon SEO-relevant fields in Amazon product listings. To achieve the best possible visibility, sellers and vendors who are optimizing the ranking of product listings should pay attention to this information. Disclaimer: Despite extensive and comprehensive testing, individual products or categories might vary in their ranking behavior. There may also be differences between newly created and existing products. Note — Byte vs. Character: We consciously distinguish between “byte” and “character” for length or indexing limits in the fields. While regular characters such as A to Z require 1 byte each, a special character (e.g., ä, ü, ö, é, &) counts as 2 or more bytes. Take this fact into consideration during optimization — otherwise, some keywords may not be indexed. This means, for example, that there was a slight positive ranking effect for products that contained a searched keyword in the title. This explicit weighting is no longer apparent. The placement of a keyword no longer plays a role in the organic ranking. Instead, Amazon now relies even more on the keyword-specific performance of a product (click rate, conversion rate, sales, etc.). The focus now lies on readability: Instead of spamming keywords (especially in the title), Amazon wants you to focus on conversion-optimized content that complies with their guidelines. In general products can only be found in the Amazon search if the product listing also contains the searched keywords (although there are some exemptions). What are the most important information fields, and how are they currently taken into account (indexed) by the search algorithm? The product title is fully indexed for the search. It should be noted, however, that there are category-specific guidelines (style guides) for the length of the title, which sellers and vendors should follow. Amazon may suppress products with longer titles, meaning you won’t find them anymore. In any case, don’t exceed the maximum length of 200 characters, including spaces — it’s already impossible to store titles longer than that on Amazon.com. The current limit for backend keywords (“search terms” or “generic keywords”) is 249 bytes (including spaces and punctuation). If you exceed this limit, none of the backend keywords will be indexed. Don’t worry: If you do cross this line while you’re editing or creating products, a warning appears — saving the changes will only be possible again once the number of characters has been reduced. For existing products that meet the previously valid limit of 250 bytes (without spaces), all backend keywords will continue to be indexed — as yet. We recommend a regular audit with a ranking tracking tool like Sellics to see if these products can still be found. Only the first 1000 bytes (including spaces) of all five bullet points (in sum) are indexed for the Amazon search. Keywords after this limit are not considered. In principle, you can still use 500 characters per bullet point — but to keep the bullet points readable and thus avoid an adverse effect on the conversion rate, you should keep the text shorter anyway. Our recommendation: Use a maximum of 200 bytes per bullet point. This will result in full indexing (5 x 200 = 1000 bytes) and a good conversion rate. The product category is the decisive factor for indexing the product description (maximum 2000 characters with spaces). The description is, therefore, suitable for longtail keywords in the context of Amazon SEO. You should, however, always use a ranking tracking tool such as Sellics to check whether the included keywords actually achieve a ranking. The description is also useful for Google SEO. Due to the indexing limitations, our recommendation remains: Persuasive content in the product description is the best strategy to optimize conversion. Neither A+ Content (for vendors) nor Enhanced Brand content (for sellers) is indexed for the Amazon search. Products cannot be found via the keywords contain within these content types, including the image tags. Should I rather use the regular product description than EBC? The regular product description will disappear if EBC is used. This fact opens up the question: Should I rather use the regular product description than EBC? Our recommendation is to use EBC. The regular product description is less important for Amazon SEO as the indexation is limited (as described above). In most cases, relevant keywords can be covered just by using backend keywords, bullet points and title. EBC on the other hand offers better possibilities to increase conversion rate and is indexed by Google just as the regular product description. As part of the ranking optimization feature, Sellics offers you a backend keyword generator. In the template created by the generator, your relevant keywords are automatically optimized and formatted for the current keyword limit. We have adapted our backend keyword template to the new limit (249 bytes incl. spaces etc.) — so you can easily use it to change or create products. We monitor all developments regarding Amazon SEO and keep you up to date. Subscribe to our newsletter now to receive more updates and tips for selling on Amazon.